Honestly, I didn't think about blogging about this but Skai encouraged me to blog about it for memory sake. He also added that since my memory seems to be bad these days, I should really blog about it before I forget. I didn't have a smooth sailing pregnancy as I kept having bleeding issues. A few causes that was diagnosed was the fact that I had a low placenta and that I had cervical polyps. Three of them. From the start, my gynae had warned me that I might have to go for a caesarian due to my low placenta but we were all hoping and trying for a natural birth. At 33 weeks, I kept having intermittent bleeding and at 35 weeks, I had a huge scare as I had a HUGE blood clot that came out of me in the middle of the night. Didn't know if it was the bloody show. Skai asked if I wanted to go to the hospital but I decided to wait. Didn't feel any pains so I told him I decided to wait. The next day, I even told him to go to work while I made my way slowly to visit my gynae. Turns out that I was dilated at 1cm at that time and my gynae gave me some meds to ensure that Aidan would stay in for a while. The placenta still stayed low then and my gynae and I decided if by 38 weeks, Aidan doesn't show, we'll go for a scheduled caesarian. If anytime before that, he appears, we'll try for natural (though there was a possibility, I might even have to do an emergency caesarian). My surgery was scheduled to be in the morning. As I had opted for a single room, I could check in the night before, after midnight. We went to the hospital at 1ish in the morning and after the respective paperwork etc, I finally reached my room at 2ish in the morning. Tried to take a nap but felt so nervous. The hubby had no problem sleeping. Last shot of #nadskaijunior inside me! Soon the nurses came in to prep me. They wanted to shave me but thankfully I opted for a bwax a few days before. Was given a supp, (which was extremely uncomfy) to clear my bowels. They then separated Skai and I. I was then wheeled to wait outside the operating theatre while Skai left elsewhere to prep into a space suit. HAHHAA, well it DID look like a space suit. I was VERY nervous outside the operating theatre. I was scared of the spinal block like mad. As the surgery was in the wee hours of the morning, I was shivering like mad, both from the cold and from fear. Soon, I was wheeled into the operating theatre. The anaesthetist came in and told me what she was going to do. At that time I was shivering crazily. One of the nurses, a very motherly lady was super sweet to me. She hugged me and held me tight while I was jabbed. After the initial jab, they applied the spinal block. I was then prepped for surgery. They cleansed my stomach. They also 'pinched' my stomach and asked if I could feel any pain. I couldn't. The nurses and the anaesthetist were very sweet to make small talk with me to keep me preoccupied. Soon, my gynae arrived and the whole atmosphere changed. I knew then he was cutting me up, though I couldn't feel a thing. Soon Skai appeared beside me looking nervous and everyone (nurses, anaesthetist, gynae) started pressing down on my stomach, pushing Aidan out. I heard a loud cry and then my status changed forever. Why you so white? I drank a crazy amount of coconut juice when I was preggers. Bluff people one! I held Aidan for a while and soon he was moved off to do measurements, cut the cord etc. And very soon Skai and Aidan left the room and I was alone with the med team, once again. I didn't feel so well at this point and I tried to sleep. Felt like a long time and finally they finished and I was wheeled into the recovery ward. After a considerable amount of time there, I was back to my ward. And thus, this was my unexciting birth story. LOL. While I do wish for the chance to try natural, I understood the risks involved. What was most important was Aidan came out safe and sound. And he did. I'll blog about my confinement period and breastfeeding journey in due time. Apologies that my updates have been slow, but I've recently went back to work and have been busy. It's tough adjusting back to work and I miss Aidan so much. But I promise, updates will come. Just very slow. Heh! 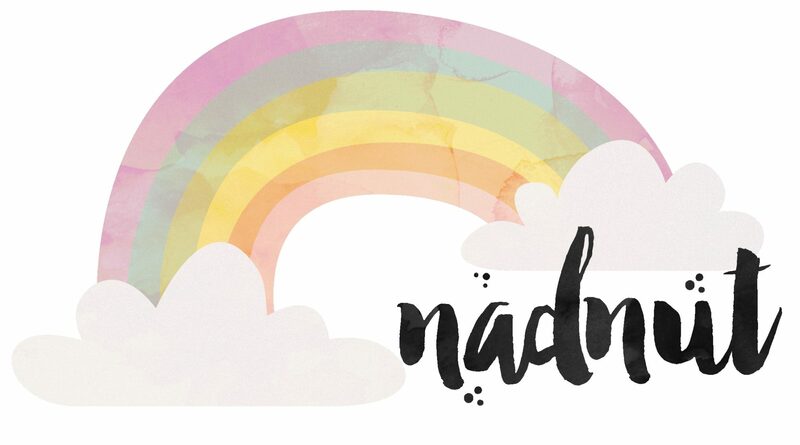 Posted in #AidanSim, #nadskai, #nadskaijunior, Announcements, Birth Story, Body, Love, Singapore Lifestyle Blog, Singapore Mom Blog, Singapore Parenting Blog. Tags: #nadskai, #nadskaijunior, Aidan Sim, Aidan's birth story, baby aidan, Baby Milestones, Birth announcement, nadnut, nadnut birth, nadnut pregnancy, nadnut pregnant, nadnut's birth story, nadnut.com, nadnut.com - Singapore Lifestyle Blog, Parenthood Blog Singapore, Parenting Blogger, Parenting Bloggers Singapore, Pregnancy, Singapore Baby Blog, singapore lifestyle blog, singapore lifestyle blogger, Singapore Mom Blog, Singapore Mom Blogger, Singapore Mommy Blogger, Singapore Motherhood, Singapore Parenthood Blog, Singapore Parenting Blog on August 15, 2016 by nadnut.